Hello! My name is Sandy and I live on a small farm with my bf in Jutland (Hunterdon County), New Jersey. 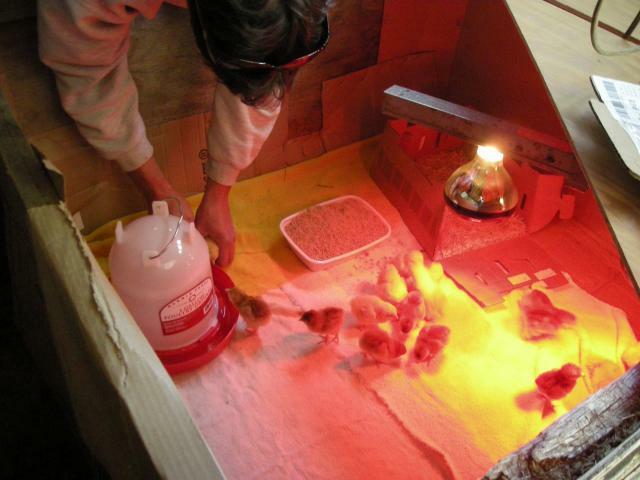 Im new to Chickens and just received by first batch – 8 RIR and 8 OB pullets-- on May 19, 2009. We are in the process of building the coop. What a project but these will be some well kept chickens when all is said and done. Hopefully I can get some more photos up here shortly. Aside from Chickens we raise beef steer (we have two on the pasture now We also have to ancient Tennessee Walking Horses, two barn cats, and two English Pointers. Aside from the animals I also love to cook and garden. I have gotten myself way in over my head this year trying to start things from seed (things being tomatoes, broccoli, beans, squash, soybeans, corn, lettuce, spinach, carrots, and a few herbs). I think I have learned my lesson and will be buying some plants next year! See ya on the message board!